If you only do one thing while you’re in Barcelona, make sure you visit La Sagrada Familia; Gaudi’s lifelong and still unfinished obsession. The Cathedral was started in 1882 and current estimates have it being completed anywhere from 2020 to 2040. When it's eventually completed the temple will have 17 100m-tall towers and one that soars skywards for an astonishing 170m. It doesn’t matter that it’s not finished, in fact there’s something special about seeing it as a work in progress, and using your imagination to visualise how it will turn out. In true Gaudi style there’s not a straight line in sight, and it's the stained glass windows that make it truly breathtaking. Your visit can include an audio or a guided tour and, if you don’t mind steps, heights and slightly claustrophobic spaces, consider going up one of the mammoth towers. It costs a bit more but affords uninterrupted views across the city. 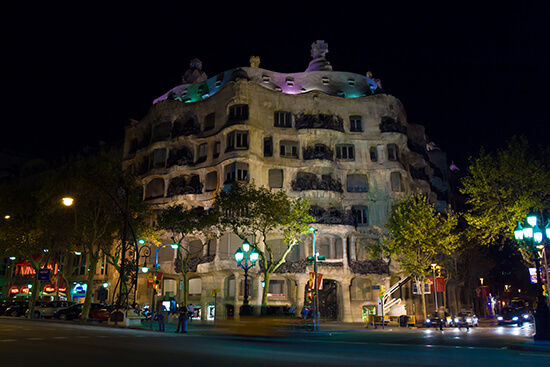 Also known as Casa Milà, this gorgeous building is the last work designed by Antoni Gaudi and you can choose to either purely admire the quirky building from outside (definitely worth a few snaps) or, if you’ve got time beyond a quick weekend jaunt, head inside for a tour of this modernist piece of architecture and its museum. 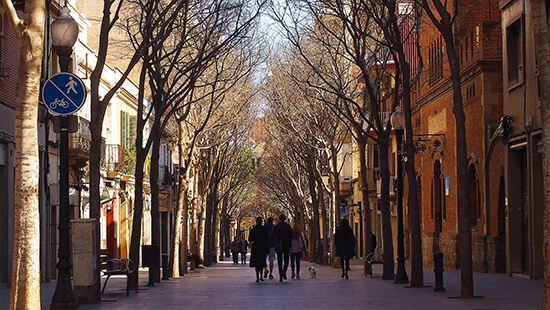 Traditionally La Rambla (or Las Ramblas) was a meeting place, not to mention it used to be the only place in the city that sold flowers while also being home to a bird market. Nowadays it's a bit different, with bookshops and tourist trap souvenir stalls amongst the flower stands. It’s still a beautiful place for a walk if you don’t mind the crowds; be sure to take some time to admire the living statues and street artists. There are a lot of cathedrals and temples in Barcelona that you could visit but you’d probably need an extended break to get around them all, so I’ve restricted myself to just one more recommendation. 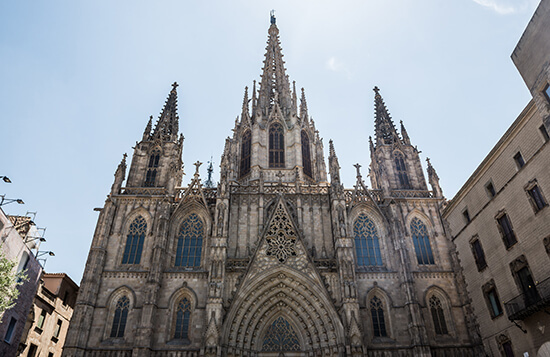 Visiting Catedral de la Santa Creu y Santa Eulali – aka the Cathedral of the Holy Cross and Saint Eulalia – will put you in the heart of the Gothic Quarter as well as surrounding you in Barcelona’s past, most notably Roman ruins and medieval structures. It takes very little effort to absorb culture here; simply go for a walk, maybe find somewhere filled with locals to have your lunch, and simply exist in this beautiful place for a little while. There are a lot of parks in Barcelona and you won’t be disappointed by a visit to any of them. Top of my list though is Park Güell, a large landscape designed by Gaudi that contains stone structures, beautiful ceramic tiles and the house where Gaudi himself lived. The park is free to enter but there is a monument area which incurs a small fee. 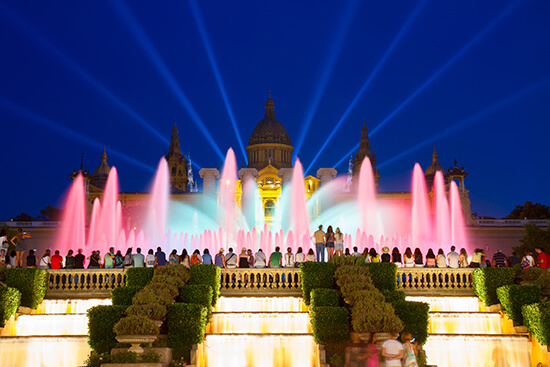 Crafted by 3,000 workers in just one year, the Magic Fountain of Montjuïc gave its first performance in 1929 during the Great Universal Exhibition. Still in full force today, this icon gives a spectacular display of colour and lights throughout the year and is a must-do experience that takes very little time. Depending on the time of year, shows usually start from around 7pm, so if you head down before dinner, you won’t be disappointed. A trip to the beach will probably depend on what you want from your city break and exactly where your accommodation is situated. 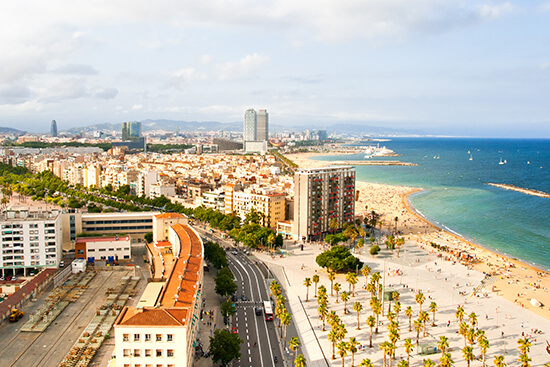 All in all, Barcelona has nearly 2.5 miles of sandy beaches, all about 10 minutes’ travel from the city centre by public transport, so if you need a minute to unwind and relax, and you’ve got the weather for it, you can certainly find the time. 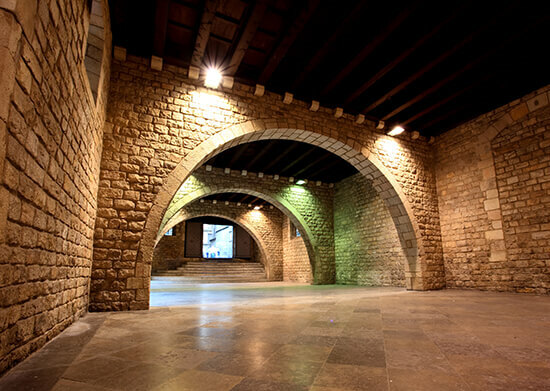 The Picasso Museum is considered by many as the museum to visit whilst you’re in Barcelona. It's set within five medieval mansions, meaning the location alone makes it worth a trip and the inevitable queue. As the name suggests, the museum focuses on the works and life of Pablo Picasso and is perfect if you want to fully understand the genius of the young artist while admiring 3,500+ pieces of artwork. Also on offer is the MACBA (Barcelona Contemporary Museum of Art) and Museu d'Història de Barcelona (Barcelona City History Museum) which will take you back through the centuries to the very foundations of Roman Barcelona. Depending on where you’re staying you might be able to get around the city mostly on foot. It’s quite compact and with a little bit of planning you can do most of your sightseeing without having to venture too far. 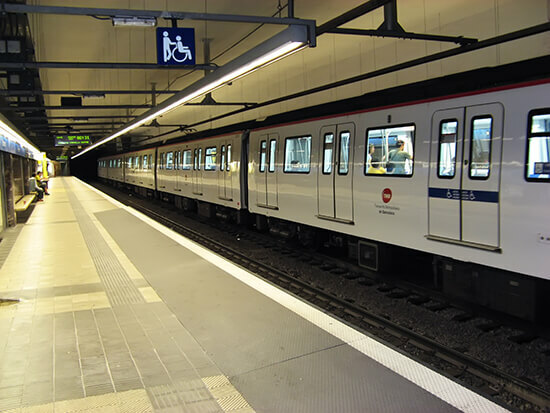 Barcelona’s Metro, FGC, tram and bus services will quickly and easily take you anywhere you could want to go. There are an abundance of travel cards and ticket types that will cross over between the trains and buses, making travelling seamless. Equally affordable are the plentiful hop-on, hop-off sightseeing tours by bus, which stop at the city's best landmarks and loop around so you can get on and off when you please. There isn’t necessarily a bad time of year to plan your visit, winter can give some surprisingly warm days, though it is prone to be a bit rainy. Summer doesn’t get too hot compared to other Spanish cities, though it can be humid. Spring and autumn are best bets weather-wise; it's warm but not unreasonably so and showers aren’t really a problem until October and November. Late July through September see a lot of locals leave town for their own holidays, making it a quiet, less-trafficky experience. This does however mean that a lot of restaurants run reduced hours or close altogether, and events are a bit thin on the ground. Easter and the summer holidays are undoubtedly the busiest periods. 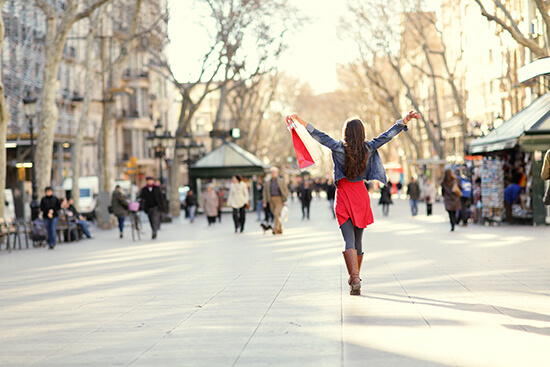 Planning your European getaway? 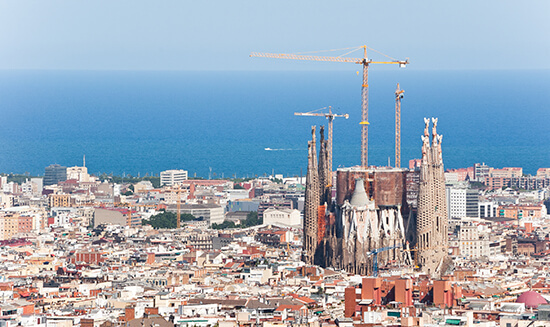 Be inspired by our Barcelona Holidays.